The renovated interior at 76 Prince Street, Kingston, home of Aaron Rezny's photo studio. Three years ago, as the rent was soaring in his longtime Chelsea studio, food photographer Aaron Rezny took the plunge and bought an industrial brick building in Midtown Kingston. 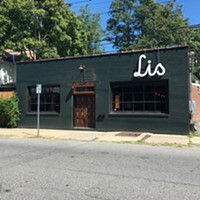 He subsequently renovated it and moved his photography business up to the facility in 2016. Besides saving money on rent, his new location at 76 Prince Street has brought other advantages. 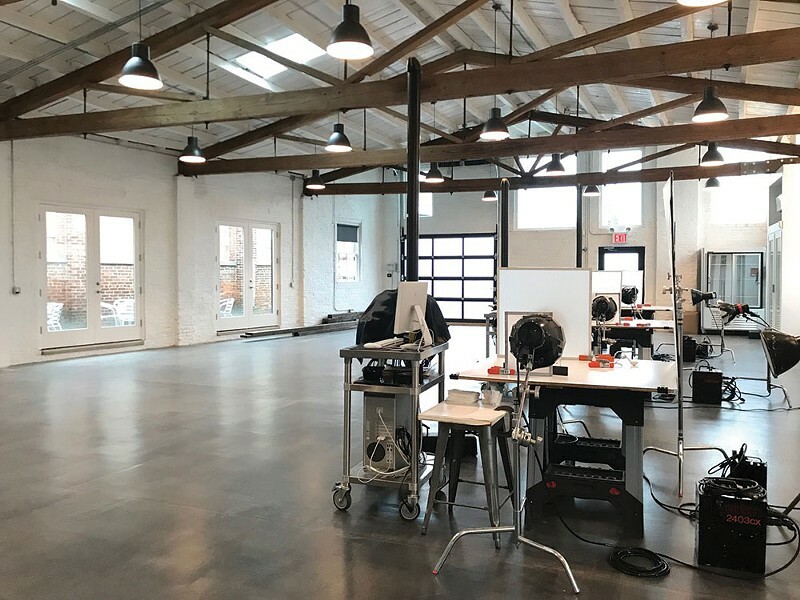 It's three times as big as his old location—5,000 square feet on the sprawling, light-filled first floor, with an additional 2,000 square feet in a half-completed residential loft upstairs—enabling him to create his dream studio. There are four digital stations for his photography, each equipped with a large-format -view camera, which enables him to work on several set-ups at once; an industrial kitchen, including six ovens and multiple fridges and freezers; room to accommodate workers or clients who journey up from New York if need be; and a photography gallery. "I've maintained my client base and brought in new ones," says Rezny, who resides in Woodstock. "I've lowered my overhead, and my clients feel like they're on vacation when they come up here." His costs, from buying coffee to treating his staff and clients to restaurant meals to the electricity bill, are significantly less than before—and no one has to fight gridlock to get here. Initially the move to Kingston seemed risky, given the building's deterioration and lackluster location. Built in the 1890s, it had been used most recently as a warehouse. The facade was covered in blue siding, and a low suspended ceiling on the first floor hid the stunning wooden truss work, which is now exposed and imbues the space with drama and warmth. Boarded-up windows and skylights were opened up and more windows added, along with a multi-paned garage door in the back of the building. The concrete floor was buffed to a smooth, slate-like finish, and architect Christopher Richartz of Studio ARKH shifted the front entrance to the side of the building, so that visitors enter via an intimate, patio-like alleyway past colorful graffiti Rezny has preserved on the exterior brick wall (he hopes to have local graffiti artists update the art periodically). Rezny set up his first darkroom at age 12. He grew up in Brooklyn, attended the High School of Art and Design, and started working as a photographer's assistant after graduating from the School of Visual Arts. His roster of clients includes Duncan Hines, Kellogg's, and other leading food brands and his photographs have been published in national consumer magazines, including Bon Appetit, Food & Wine, and New York magazine. In 2009, when the economic collapse caused a lull in his business, he began shooting the food of his youth—bagels, knishes, gefilte fish, blintzes, and other staples of Jewish food—just as the Jewish delis were vanishing from the city. Partnering with his longtime colleague Jordan Schaps, former director of photography at New York magazine, the project evolved into the book Eating Delancey: A Celebration of Jewish Food (Powerhouse Books, 2014), with an introduction by Joan Rivers; Lou Reed, Don Rickles, Milton Glaser, Itzhak Perlman, and Bette Midler are among the other eminences contributing reminiscences. The book was reviewed in the New York Times, and its success has inspired Rezny to photograph other subjects of personal interest, including the game pieces of his childhood, obsolete objects (payphones, typewriters, subway tokens, and the like) and artifacts of the Holocaust—a topic that's particularly close to his heart, given that his parents, who were born in Poland, were both Holocaust survivors. 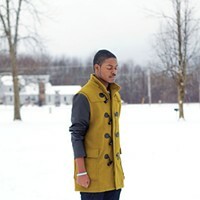 He plans to eventually publish his photos in a book with the working title Survive. 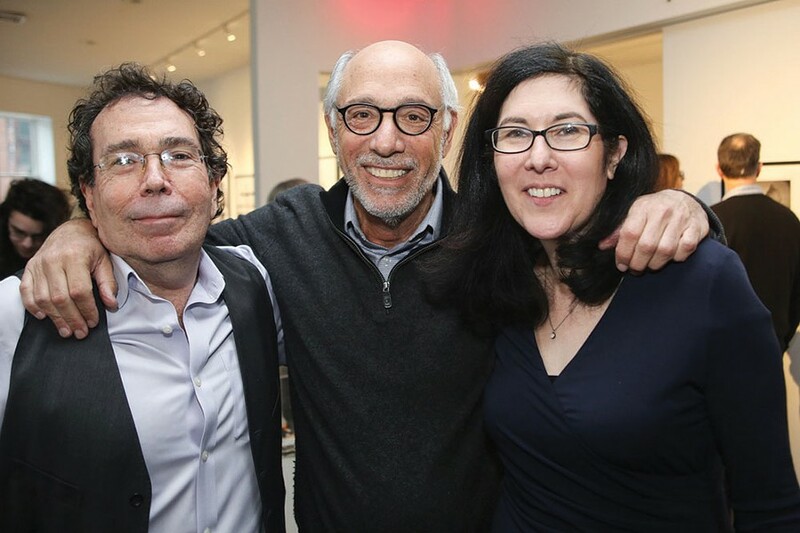 Photographer Aaron Rezny, gallerist Howard Greenberg, and Center for Photography at Woodstock Executive Director Hannah Frieser at the opening reception. More than just a workspace, Rezny's building is also an integral part of the emerging Midtown arts community, thanks to the opening of his gallery in mid-December with a show of photographs by Rhinebeck-based photographer Kenro Izu. On view through the end of January, the exhibition is a collaboration with the Center for Photography at Woodstock. CPW Executive Director Hannah Frieser curated the show, which also includes works by other photographers. Howard Greenberg, a childhood friend of Rezny's who founded CPW and runs a gallery on 57th Street, represents Izu; the Kingston show is the first of many collaborations Rezny plans to have with CPW and Greenberg's gallery. "I'm glad I trusted my instinct with this building," Rezny says, noting that Midtown Kingston reminds him of SoHo in the late 1970s and early 1980s. "The transition has been phenomenal, lifestyle-wise. From the services, restaurants, and caterers to the mayor's office and local planning board, we've just been embraced by Kingston. I love being here." 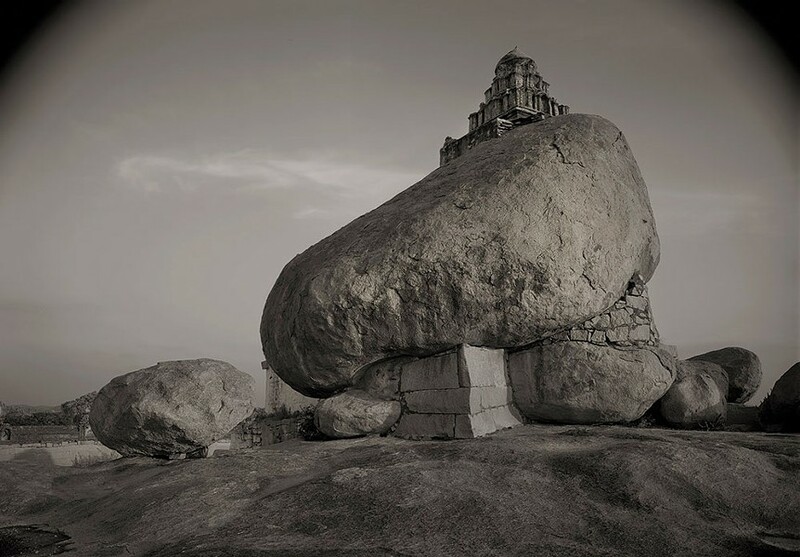 "Kenro Izu: Sacred Places" at 76 Prince Street, Kingston, is open through January 31. Hours are Saturday and Sunday from 12 to 4 pm or by appointment. A talk by artist Kenro Izu and gallerist Howard Greenberg will take place on January 14 at 2pm. (212) 691-1894.